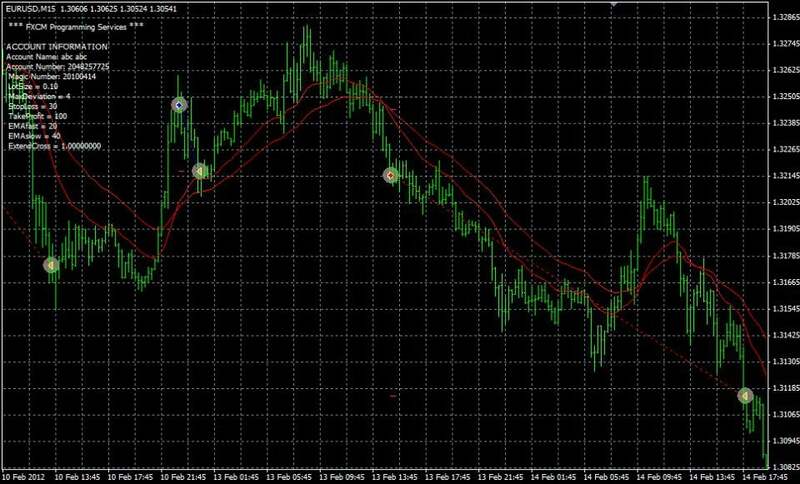 The EMA-Cross EA buys and sells depending on the relationship of two Exponential Moving Averages: one “fast” and one “slow.” The Exponential Moving Average is used because of the emphasis it places on recent price data compared with the Simple Moving Average. When the “fast” Exponential Moving Average crosses above the “slow” a buy trade is opened. When the “fast” Exponential Moving Average crosses below the “slow” a sell trade is opened.